Ask former Republican congressman Tom Davis about the prospect of President Donald Trump throwing out the first pitch at Nationals Park on Tuesday night, and the pageantry of the office isn’t the first thing that comes to mind. “It’s very disruptive when a president comes to a game because they stop all the traffic. People can’t get in the gates,” said Davis, a Nationals season-ticket holder. He’s also familiar with Trump’s preference for friendly crowds, noting the president got just 4 percent of the vote inside the Washington city limits in 2016. 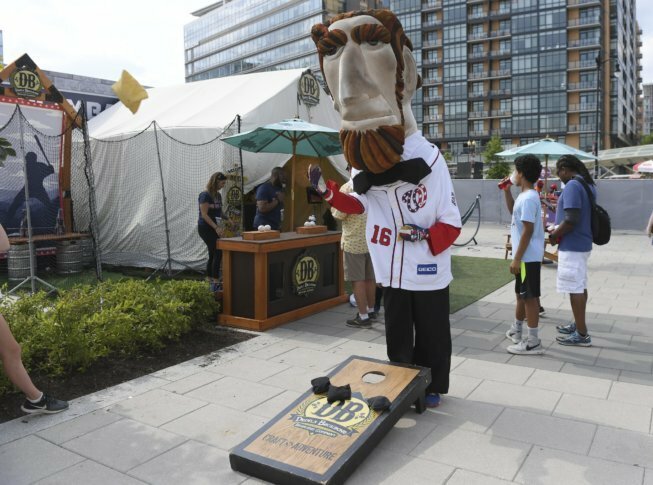 Trump’s anticipated absence Tuesday night would allow Nationals Park to perform its usual role for elected officials and other political figures: as a bipartisan oasis where differences are set aside while everyone frets about bullpen moves and Bryce Harper’s approach at the plate. Trump would have a good enough excuse for skipping the game: He’ll have just returned from a trip to Europe, including his much-anticipated summit with Russian President Vladimir Putin the day before the Midsummer Classic. “From Taft to Nixon, before Washington left for good the second time, every president threw out a first pitch at least one time” in the nation’s capital, said Frederic Frommer, author of “You Gotta Have Heart,” a history of Washington baseball. So far, Trump hasn’t — and, in fact, baseball hasn’t drawn a lot of his attention. He’s feuded with the NFL over players who knelt in protest during the national anthem, and he disinvited the Golden State Warriors and Cleveland Cavaliers from the White House before they met in the NBA Finals after star players on both teams spoke out against him. By contrast, last year’s World Series winners, the Houston Astros, visited the White House without much fuss. Unlike presidents, members of Congress can sit in the stands and enjoy relative anonymity. Democrat John Delaney of Maryland tries to make it to about a dozen games a year, although he hasn’t been this season, in part because he’s running for president. Davis said he frequently runs into fellow Virginians from both sides of the aisle, including Republican Congressman Bob Goodlatte, who on Thursday presided over a lengthy hearing about possible bias in the FBI during its investigation of Trump’s campaign, and Congressman Gerry Connolly, a Democrat who blasted the hearing as a politically motivated smear campaign. “It’s kind of a unifying force in the city when everything else around has crumbled,” said Davis, who worked with city officials to help get the ballpark built while he was in Congress. “Nationals Park really does hold a special place in my heart,” Scalise said. The ballpark provided two milestones in Scalise’s recovery. He threw out the first pitch at a playoff game last fall, and this spring he returned to the field to play in the Congressional game, recording an early putout at first base. “Baseball’s been a big motivator to help me keep in shape, first of all, and it’s really helped me to build strong relationships with people I otherwise wouldn’t have gotten to know,” Scalise said. “It really gave me an opportunity coming in as a new member of Congress to get to know a lot of colleagues, and ultimately to build a lot of real strong bridges on the Democratic side as well. Baseball’s been a really unifying sport for us to get a healthy release from the daily pressures of being a member of Congress,” he said.